This blog is called Journey to Messiah. I started it as a way to share what I’ve learned with my Gentile brethren about our Jewish Messiah. There have been many times that I’ve wanted to write something, but it was more of an experience than lessons learned, so I opted not to write. Yet this morning, as I was praying about what to write, the Lord prompted this silly child of His – what better time, what better platform to share my journey to His Holy land? I am on a flight to Tel Aviv. As I write these words, it still feels surreal. 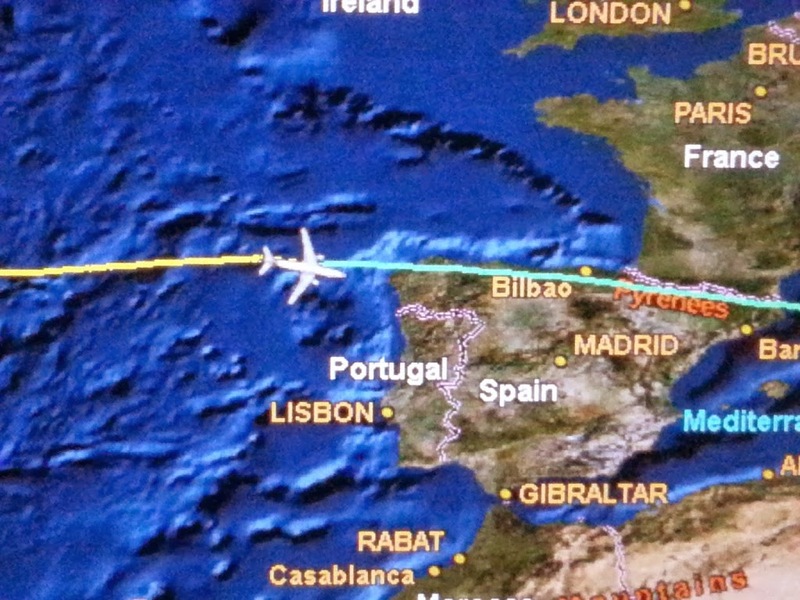 On the little monitor in front of me, I see the progression of the plane as we have crossed the ocean and are now flying over Spain. I am in awe that this little Italian girl from Corona, Queens, New York, would actually be on an airplane on the other side of the Atlantic. And most astounding of all…on my way to Israel! Even as I write these words and see the screen assuring me that is exactly what is happening, it doesn’t seem real. Could it be that it has been a dream for so long, that I’d given up hope of it ever happening? Could it be that I don’t feel deserving? Could it be that all these years of reading about the place has made it somehow fictional? Probably all of the above. Yet here I am, 6 hours out of the US and 4 hours from my destination – the most holy place on earth. The place God chose to dwell. The land flowing with milk and honey. The place that will see the return of the King Messiah as He rules and reigns over all the earth. For those of you who may not know, it was the generosity of God’s people, my brothers and sisters in Messiah, who made this trip possible. And that makes it all the more precious. Check out the fund raising campaign for the details. (www.indiegogo.com/dreamingtowardisrael). I don’t know how often I will be near a wifi to post, but I will do it as often as I can. And I suspect that I when I get back home, I will have a lot to say, to share my experience of the land and the people of Adonai.